This past week, the FSA office issued payments to producers who had previously been approved for LFP the fifth month payment for Kiowa County. The LFP program allows a maximum of five months of payment, triggering only during the growing season. The fifth month triggered for Kiowa, Bent, Otero and Crowley county producers due to the D4 (exceptional drought) designation for four weeks on the U.S. Drought monitor. Producers should be receiving the deposits in their account followed by a transaction statement noting the payment. All FY18 LFP payments have a 6.6% sequester reduction. 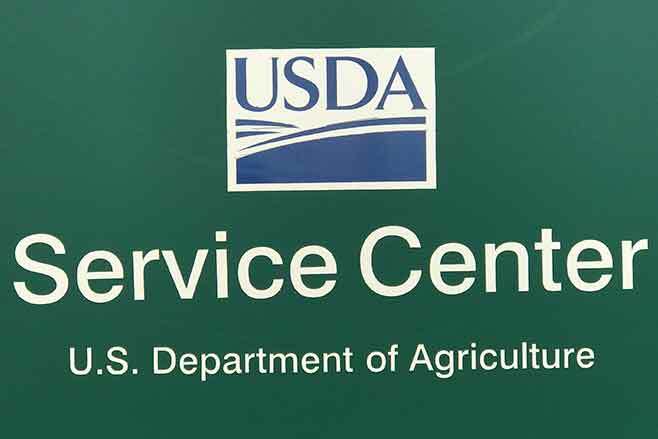 Producers with Livestock are urged to visit the FSA office to determine eligibility for the LFP program. The FSA Office was notified this past week of a correction to the per acre rental rate for CRP Grassland program. The revised rental rate announced in June was $6.00; however that was in error and a correction has been issued to reflect $5.00 per acre. Producers who have submitted offers have been notified of the change and will need to determine if they wish to submit another offer with the $5.00 rental rate. Producers who are interested in submitting an offer for acceptance into CRP Grassland program are urged to contact the office for more information. As time and workload allows, the NRCS staff will be conducting annual status reviews for CRP contracts, which is required prior to annual rental payments being issued in October. The contracts of concern are new seeding of either cover crop or permanent cover. The County Committee will be reviewing the reports from NRCS after the field inspections are completed. Producers with 2ndor 3rdyear permanent seeding's and are experiencing problems getting the cover to establish need to be in contact with NRCS or FSA. The same applies to producers with cover crops; if there are weed issues or problems with the cover crop; contact NRCS or FSA. Producers should remember that the CRP contract is a binding contract between USDA and the participants. Don't wait for NRCS or FSA to discover establishment issues, if there are problems visit the office and discuss options. Kiowa, Otero, Crowley and Bent counties that were previously designated in a D4 drought designation have moved to a D3 this week. Drought conditions in the state have vastly improved over a four to five week period. Hopefully more rain is in the forecast for the area. More information about drought conditions across Colorado is available in this article.